Mitchell and Brandie were already a family when they decided to become husband and wife. Three months notice was plenty of time to gather the families and arrange a wedding date to make their civil union a legal union. They chose the Thousand Dollar Wedding Package and reserved our largest and most popular room. 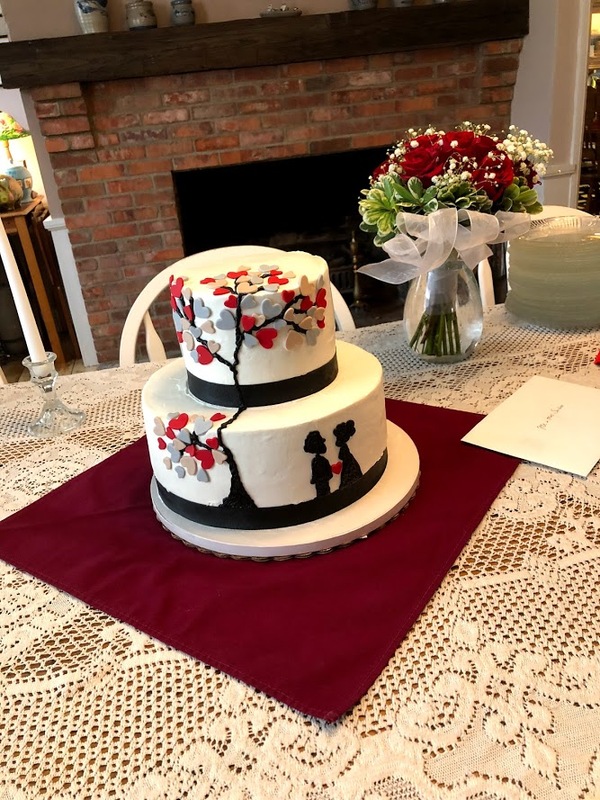 We received a picture of their desired cake from an internet site so we could have our Cake Boss recreate it to their satisfaction. Our florist provided a boutonniere for him and a tight bouquet of 12 red roses for her. I performed the ceremony before a dozen or so guests. The couple was happy and their guests appeared joyous at their union. 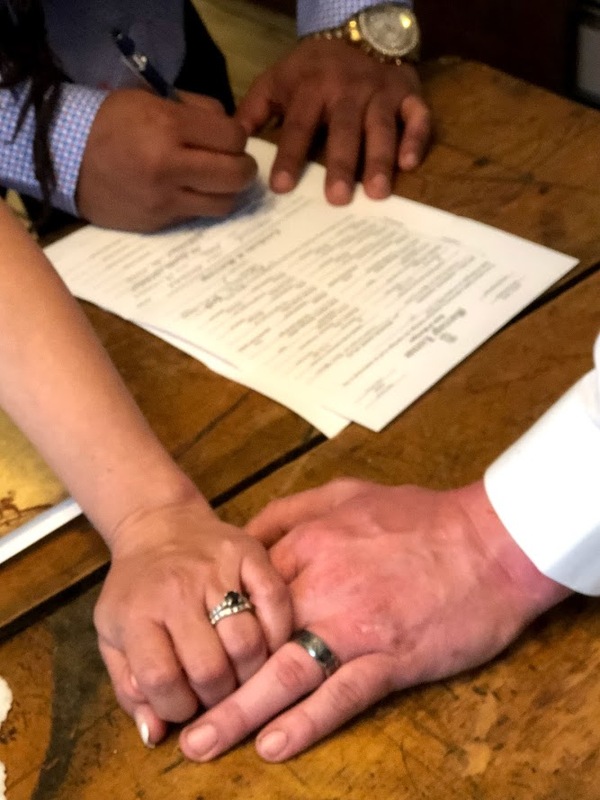 We performed the ceremony indoors and signed all of the paperwork. A soft drink and cake reception was held here while pictures were taken of the newlyweds. Eventually, everyone departed for a dinner reception a few blocks away at one of our favorite restaurants. The ceremony was simple and elegant in our historic home. The bride descended the stairs from the second floor while “Canon in D” was played on our baby grand piano. They chose their own vows, exchanged rings, signed the papers, and made it official. They had a memorable event in our classicly decorated historic home at a reasonable cost. They departed as a happy young couple who got exactly what they wanted at a reasonable cost. 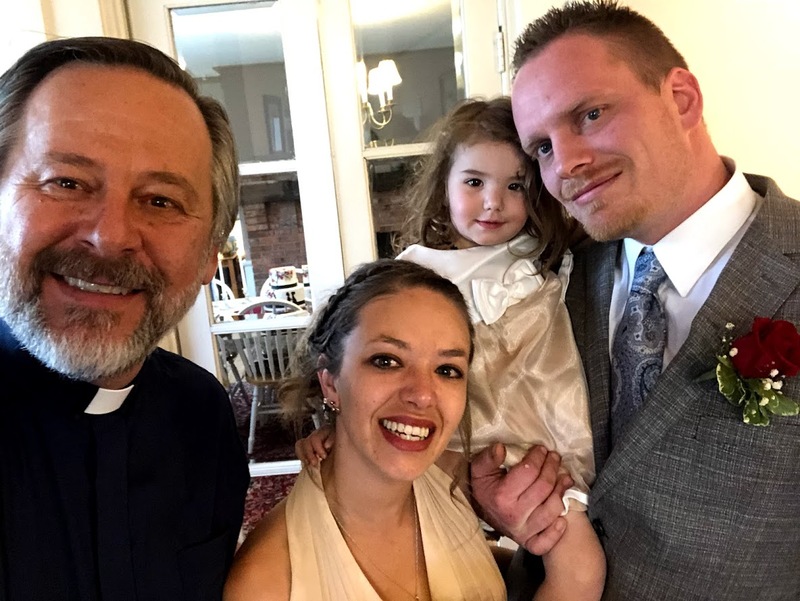 For one price, they got the venue, officiant, modern vows, flowers for her, boutonniere for him, a custom cake, and 2 nights bed and breakfast at the inn. All they had to do is choose an agreeable date, invite some friends and family, and obtain a marriage license. We took care of everything else. We wish them the best in their future lives together. Peace & Love is what is all about. This entry was posted in Simple & Classic Wedding and tagged custom cake, wedding cake by admin. Bookmark the permalink.